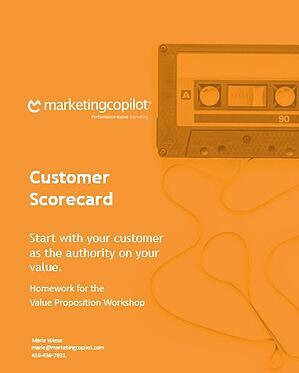 Are you ready to take the first step in developing your value proposition? To discover your value proposition and differentiation you’ll need to start with your customer as the authority on your value! This customer scorecard workbook will help you analyze your current client base. Answer the question "Why should I buy from you?"